Massive corporations are being pressured to take responsibility for their plastic pollution as environmental charity Surfers Against Sewage (SAS) holds its latest annual Big Spring Beach Clean. 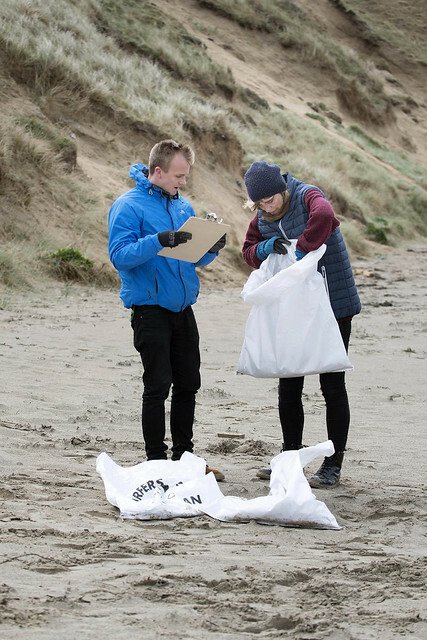 The event, which takes place across the whole of the UK from 6th – 14th April, will see more than 30,000 of volunteers heading to 615 local beaches, rivers, streets and even mountains to clean up plastic pollution that is wreaking havoc on our local environment and wildlife. Now, the charity has launched a brand-new auditing tool, to help volunteers record the companies most commonly behind the items that are being picked up at the same time. All they need to do is take down the brand names of the products they are collecting and tally the amount they are finding for each brand in a form, and share the data with Surfers Against Sewage at https://www.sas.org.uk/brands/ before 21st April. 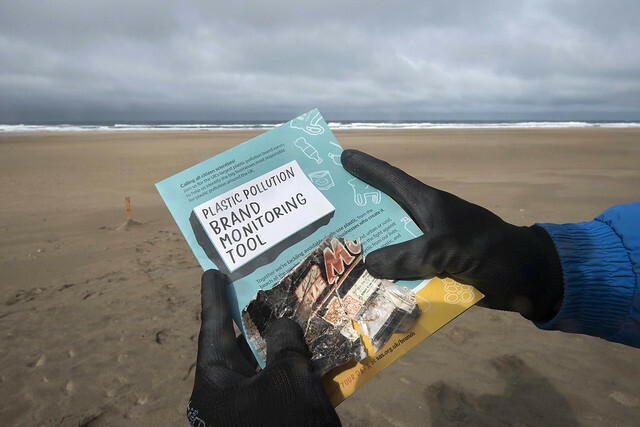 This new toolkit comes almost ten years after the charity pioneered the first Plastic Pollution Audit, which highlighted the original ‘Dirty Dozen’ – the top 12 companies whose plastic was most commonly found on UK beaches. The audit, which was launched in 2006, saw almost 600 pieces of identifiable marine litter returned back to the companies producing them as part of the charity’s ‘Return to Offender’ campaign. Among them, the top offenders included Nestle, Coca Cola, Walkers, Kraft, Tesco, Mars and Unilever, as well as other well-known household brands like PepsiCo, United Biscuits, Carlsberg, Co-op and Asda. At the time, each brand was then urged to reconsider how it was packaging its products, and find more innovative ways to reduce packaging, promote recycling and re-use wherever possible. And, almost a decade later, the charity is now looking to see which brands have stepped up their anti-pollution game – and challenge them if they haven’t. 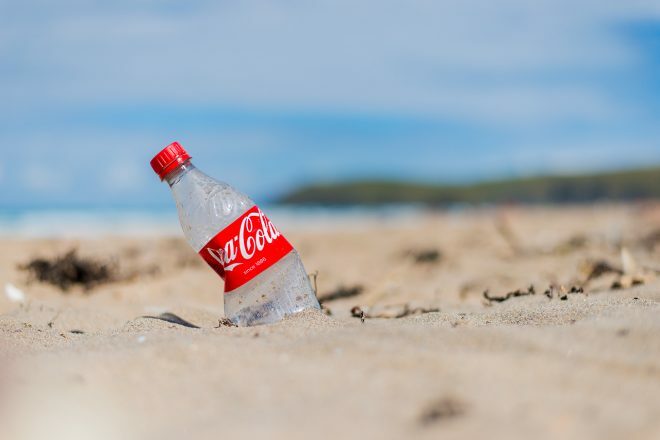 The brands responsible for producing plastic packaging pay a tiny fraction of the costs of collecting and recycling the 11 million tonnes of plastic waste created in the UK every year. The burden of the costs is put on taxpayers and local councils – who spent £700 million on collecting and sorting recycling in 2017 – and ultimately on the environment, marine life and human health when plastic ends up in our rivers and oceans. The audit isn’t just a ‘telling off’ opportunity, though. SAS says that by conducting the research again to map and monitor where the plastics are coming from, they will be able to signpost where urgent action must be taken and try to stop the problem at source – rather than reacting to it once it washes up around our local beaches and rivers. And with this year’s Big Spring Clean set to be the biggest in its nine-year history, with more than 615 cleans set to take place up and down the country (thanks to tens of thousands of volunteers), this call to arms could be the most influential yet. The research will also feed into the Government’s Extended Producer Responsibility Consultation, which is currently seeking views on measures to reduce the amount of unnecessary and difficult to recycle packaging in the UK, via reforms to the packaging producer responsibility regulations. Within it, it proposes that the full net costs of managing packaging waste could be placed on those businesses who use packaging – and who are ultimately best placed to reduce packaging and, encourage reuse, and influence its design. A recent report called ‘Everyday Plastic’ estimates that the UK population throws away over 295 billion pieces of plastic every year. This is based on the author Daniel Webb’s own plastic waste collected over a year. He found that 70% of the plastic he threw away in a year is not currently recyclable and 93% was single-use packaging. It’s hoped that this latest audit will give campaigners an even more powerful voice to make change happen – and SAS says the more items that are recorded, the more powerful that voice will be. Amy Slack of Surfers Against Sewage is leading the research and consultation response and says: “The timing of this research is crucial as the government is consulting right now on how producers of plastic pollution must take accountability and we will be sharing our evidence with both big business and the government. If you would get involved with a Big Spring Clean – whether on the coast, up the mountains, on the rivers or along the city streets – there’s still time.